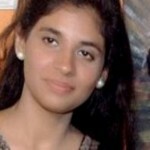 What Causes Calcium Deficiency In Babies? Symptoms Of Calcium Deficiency In Babies? Does your little one have enough milk? Does he jerk his limbs or twitch uncontrollably? Does he suffer from convulsions? He might be suffering from calcium deficiency. Calcium deficiency is quite common in babies, and you can treat most cases by changing their diet. However, it may lead to complications. But, don’t panic just yet, read this post. When it comes to feeding babies, there aren’t many options. So, it becomes essential that you keep a tab on what you feed your baby, or what he consumes provides him enough nutrients. One nutrient, which is extremely important for your baby’s development is calcium. A shortage of the nutrient can lead to calcium deficiency. Read on to learn about calcium deficiency in babies. 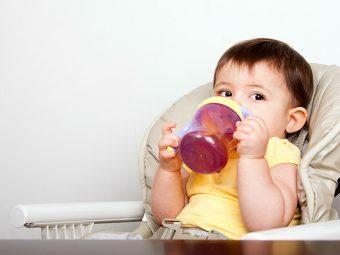 Calcium is one of the most important elements for babies and adults. It is essential for healthy muscle functioning, nervous system, and heart. Calcium also helps develop bones and maintains bone mass in babies. During the first year of your baby’s life, his body mass increases and he gains weight, followed by a rapid growth of the body. Proper bone mass in adulthood is the result of proper calcium intake from infancy to adolescence. Low oxygen availability during child birth. If you suffer from diabetes, then it is likely that your infant will have lower levels of calcium in his body. Certain medicines like Gentamicin can reduce calcium levels in your baby’s body and even lead to hypocalcemia. 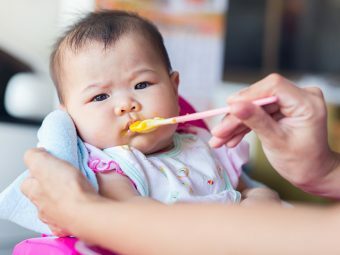 If you feed your baby formula milk or cow milk, which is rich in phosphorous, it can lead to hypocalcemia. Vitamin D deficiencies also reduce calcium levels, as vitamin D promotes calcium absorption in the body. There may be a rare reason for low calcium levels in your infant’s body-DiGeorge Syndrome (DGS), a defect in chromosome no. 22 of 23. Congenital hypothyroidism can also trigger hypocalcemia. If you suffer from low Vitamin D or low calcium, your baby is more likely to contract calcium deficiency. 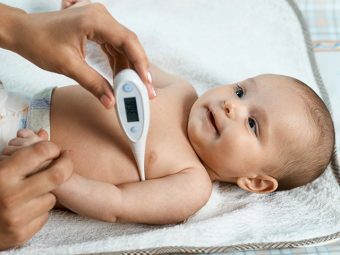 Premature babies are often susceptible to hypocalcemia. Tongue-thrusting, tongue and lip twitching, eye fluttering, etc. Expose your baby to sunlight. The process will help boost Vitamin D levels in his body and increase calcium absorption as well. Feed your baby humanized milk formulas and not cow’s milk or evaporated milk supplements. One of the best ways to help your baby overcome calcium deficiency in infants is breastfeeding. 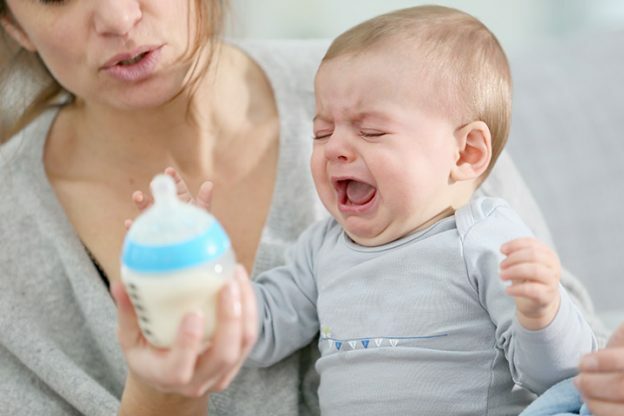 If your baby has congenital asymptomatic hypocalcemia, you can treat him in a nursery where they use special calcium formula-based milk supplements. Now that you know the innumerable health benefits of calcium and repercussions of low levels of calcium in the body ensure that your little angel gets enough calcium in his diet. Give your little darling a healthy diet so that he grows up to be a healthy boy. We hope you found the post informative. Tell us about your experiences below.